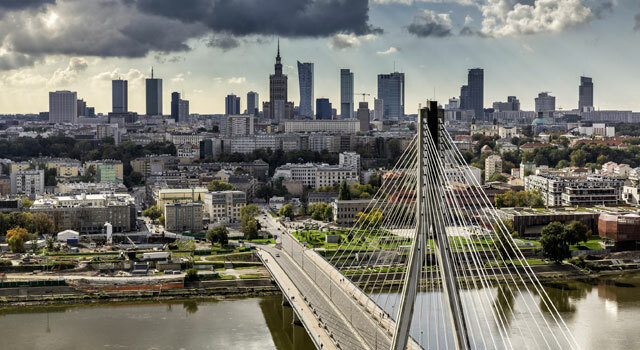 Use this website to quickly find the most important information about Warsaw Chopin Airport: Flights (Departures, Arrivals), Parking, Car Rental, Hotels near the airport and other information. 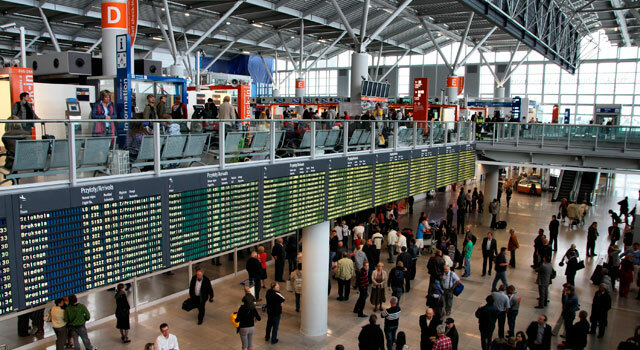 Plan your travel to Warsaw Airport with the information provided in this site. Warsaw Chopin Airport (IATA: WAW, ICAO: EPWA), also known as Warsaw Frederic Chopin Airport, is an international airport located in the Wlochy district of Warsaw, 10 kilometres south-west of Warsaw City Centre in Poland. There is only one Terminal: Terminal A (joins old Terminal 1 and 2). The top 5 scheduled destinations in 2014 were London (Heathrow, Gatwick and Luton), Paris (CdG and Beauvais), Frankfurt, Amsterdam and Gdansk. According to statistics, in 2017 Warsaw airport handled 15,750,000 passengers. This numbers represents an increase of a 22% in terms of passengers and a new record. There is only one terminal, known as Terminal A. The terminal A is a join of the former Terminal 1 and Terminal 2. South Hall: Check-in areas A and B. It is the old part of the terminal and has been refurbished and reopened for passenger traffic in June 2015. North Hall: Check-in areas C, D and E.
With the opening of the modernised part of the terminal the airport can accommodate 25 million passengers annually. It operates the departures for all Star Alliance and Oneworld airlines, among others. See more informationabout the Terminal in Warsaw Airport. Some of the facilites available at the terminal are: ATMs, Banks and Currency Exchange, Restaurants, Cafés, Shops, Postal Services, Chapel, Areas for Children, VIP Services and Lounges, Rental Car, Parking Spaces. For further information, please check services section. The airport was opened in 1934 and During World War II, Okęcie was often used as a battleground between the German Army and Polish resistance and was almost completely destroyed. The airport was rebuilt since 1945, being LOT Polish Airlines the responsible to do that. In 1969, a brand new terminal was operational and one year later, the airport served its first million passengers. In 1990 after the fall of communism a new terminal was started and finished 2 years later, the Terminal 1. Terminal 2, was built in 2007-2008. The airport was known as Warsaw - Okecie Airport until it was renamed in 2001 as a tribute for Polish composer Frédéric Chopin. The name Okecie Airport is still being used in some cases. 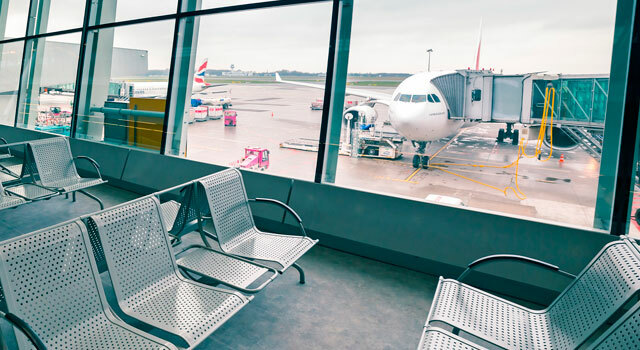 The most recent changes in the airport were made until 2012 in time for the UEFA Euro 12 football championship. 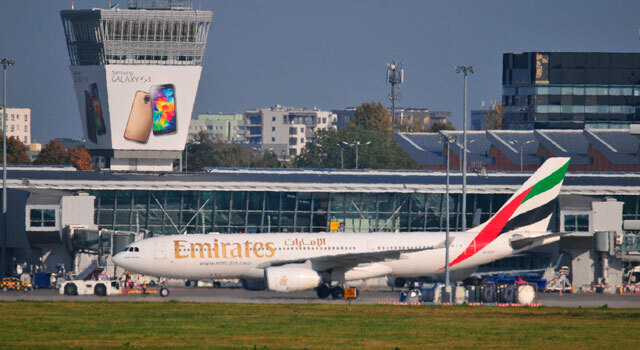 There are almost 50 airlines operating at Warsaw Chopin airport, with approximately 300 daily flights daily to international and domestic destinations. LOT Polish Airlines is the main airline in the airport, generating about 40% of the airport traffic. The second biggest airline in the airport is Wizz Air which is growing rapidly in this airport, increasing the number of available routes. There also some companies with several charters, such as: Enter Air, Small Planet Airlines and Travel Service Polska. - 300 daily flights approx. - Operates with 50 airlines approx. - Car Rental: Rent a car and explore Warsaw and its region on your own. Compare prices and get the best fares here! Location: Departure hall, adjacent to security control in the CDE zone.